by Ted Millar, published in Bio. 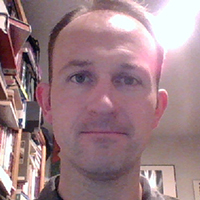 Ted Millar has been teaching English for fifteen years at middle and high school levels as well as at the college level, courses ranging from freshman composition to Shakespeare, poetry, and creative writing. His poetry has appeared in the following journals: GFT Press, Cactus Heart, The Grief Diaries, Aji, Inklette, The Artistic Muse, Brickplight, Wordpool Press, Inkwell, & Chronogram. He lives in apple and wine country in the heart of New York’s Hudson Valley with his wife and two children.